It’s started. The annual invasion of our home. 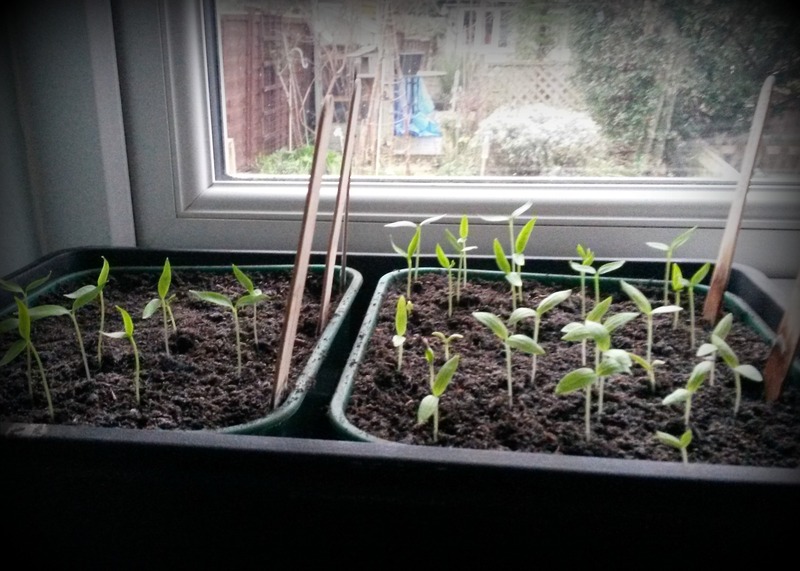 Pepper sprouts crammed onto any available windowsill and gaining strength by the day; chilli seedlings squeezed in beside radiators, sending out shoots like warning flares. 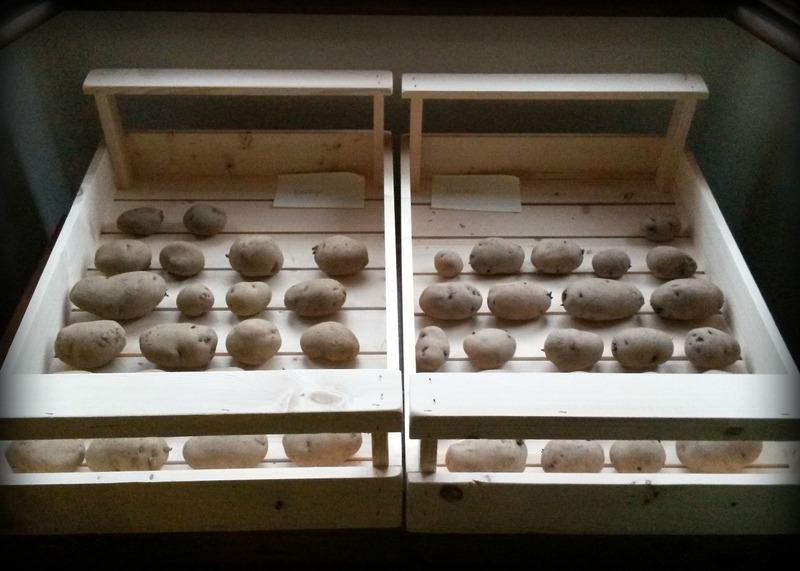 The potatoes in the front room, supposedly chitting, but secretly plotting their attack. I know their game. It will be like this until the cold weather passes and Ade feels his tender little seedlings can brave the cooler air of the polytunnel, or in the case of the potatoes, the earth. I’m used to it. At this time of the year, I’m a stranger in my own home, the place seems overrun with triffids and I just have to sit tight until spring. I know in a few months it will be worth it, when I’m baking spuds newly harvested from the plot for supper, or flinging freshly-picked peppers into a stir-fry. But at this stage of the proceedings, it all feels decidedly ominous. Even as I type this, I’m acutely aware of being watched. I pretend not to to notice, but it’s hard to ignore the dozens of sprouting eyes watching me from the corner. And I won’t lie, being under potato surveillance in your own home is a very frightening thing. Yes building up a bit here but there’s only one windowsill in the house that I can use. This prompts me to get on with transforming the garden shed into my potting shed. Good progress made this weekend. I like the chatting boxes.